Our legendary road builders worked tirelessly building the roads for you to enjoy today. As an incentive to keep the dynamite blasting and pick axes swinging, locals would often make and deliver warm sweet bread and cookies to the roadside to keep the craftsmen fueled. This tradition continues today and is evident by the sheer volume of ‘carbo craftsmen’ who have set up shop in the little towns along the way. Nothing makes them happier than seeing you out enjoying the ‘sweets’ of their labour on your bike. Plan ahead to ensure you have enough space to load up. We’ve tested and assure you… pies can be transported safely on a motorcycle. We’ve compiled the best motorcycle friendly places to brake for baked goods and sweet treats. Taste them all, and let us know your favourite fuel. You know they are good when the locals line up at Hidden Goldmine for the butter tarts. On a hot day, opt for a butter tart sundae at the Miner’s Malt Shoppe, the newest addition – an ice cream shoppe attached to the bakery. Pakenham General Store is home to famous sticky buns. Good luck leaving their store without one of their oozing, sweet, caramel topped buns. Once you get your sugar kick, head upstairs and explore the large gift and antique showroom. This is one of the locations that you need to stop at. Flynn’s General Store is well known for their pecan butter tarts, but if butter tarts aren’t your thing, they also make a tasty apple fritter. If you’ve got a sweet tooth, Penny’s Fudge Factory is where you want to stop. Maple fudge is the all-time favourite here. The newest addition to the 50 flavours of fudge is pumpkin pie. You’ll also find local jams and honey, Pop Shoppe drinks, Madawaska coffee and Thrills gum on their shelves. Coronation Hall Cider Mills make a stellar apple pie…almost as great as their cider (sparkling and hard). Their location is quite unique, so be sure to leave yourself some time to tour the orchard, mill and dance hall. The River Bakery Café and Patio is well known for their fresh bagels and loaves of bread, but the lemon meringue tarts here are irresistible. 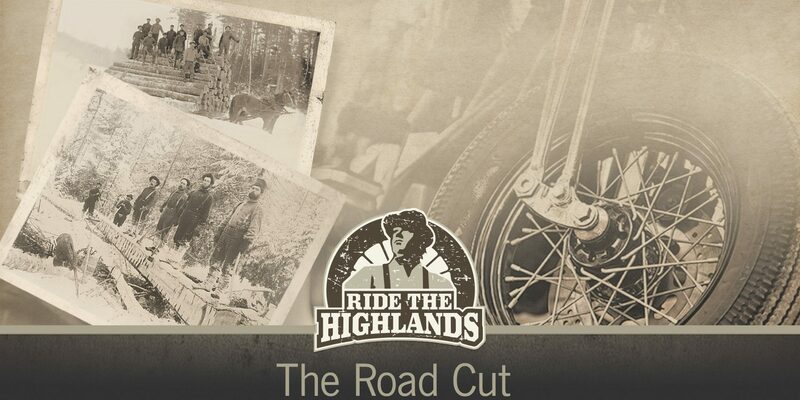 Click here to subscribe to the Road Cut and receive notifications of new posts by email.